They say that a Broadway opening number sets the tone for the two and a half hours to follow. 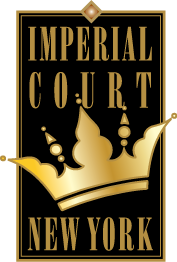 At Night of A Thousand Gowns, the Imperial Court of New York tries to do the same thing! For 24 of the last 30 years, members of the ICNY have poured their heart and souls into creating an opening that will grab the attention of the audience and hold onto it.